The front range is prone to sudden and severe hail storms that result in massive damage to roofs and property. The recent wind storm in January, was a shift from the typical type of damage that we normally see. We have repaired minor wind damaged roofs and have had to fully replaced some wind damaged roofs. Thankfully, not one of Impact Roofing’s roofs were damaged in the wind storms as we install shingles with a 130-mph wind rating and follow installation guidelines strictly. It is important to note that some of the damaged roofs that we were called to replace where just plain old and they were simply at the end of their life span. Sadly, a lot of the affected roofs would not have been damaged if they were installed properly. 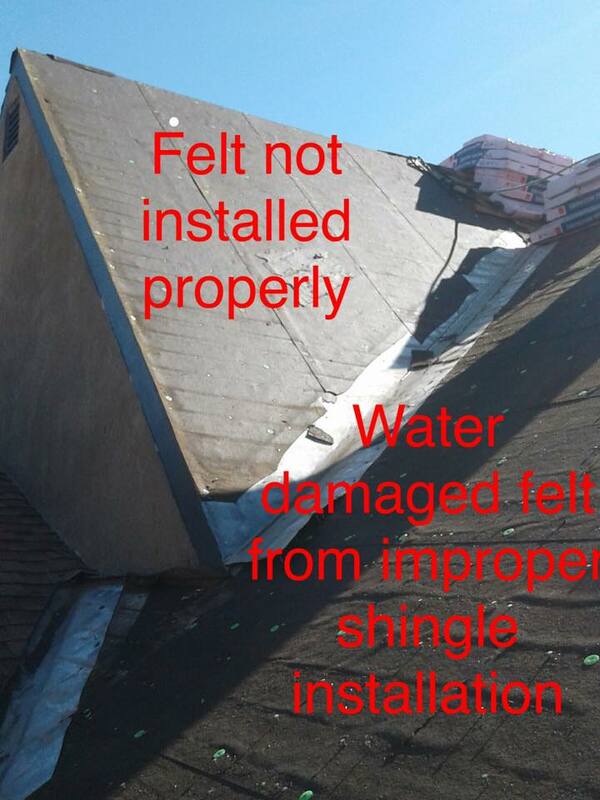 Many of the damaged, recently installed roofs that I have had to repair or replace within the last month had the same class of shingles but were not properly installed. Installing a roof when it’s too cold. If a roof is installed in cold weather (under 40 degrees and not sunny) the seal will not adhere. 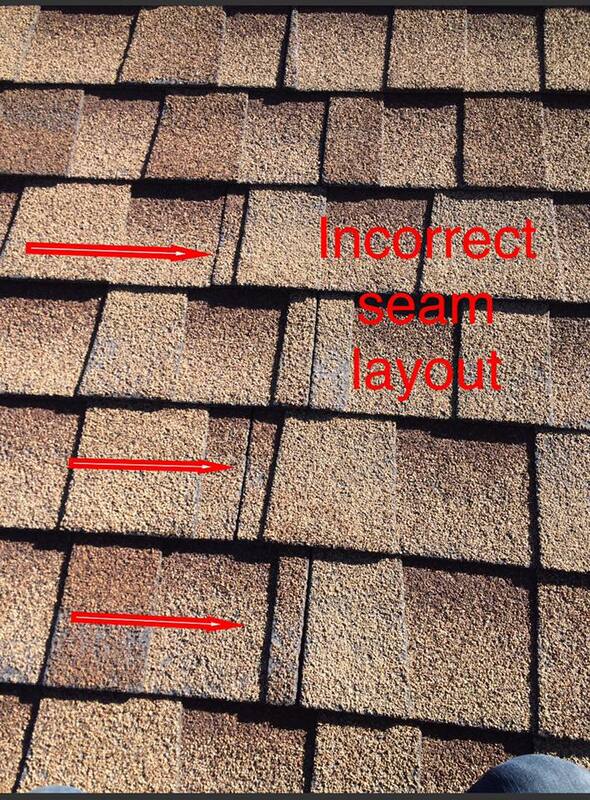 Some types of shingles (three tabs) can’t be installed during winter months at all. This will cause the shingles to not bond to one another and can lift up resulting in torn or damaged shingles. This also allows for melting snow to “wick” underneath the shingles and cause water damage. Nailing Patterns. Shingles must be nailed strictly per the manufacturers guidelines and to local code. Shingles have a main seal strip that either has a mark of some sort or in the case of Owens Corning a “Sure Nail” nailing strip that is under the finished product. In our region, this nailing strip requires six nails evenly spaced across it. 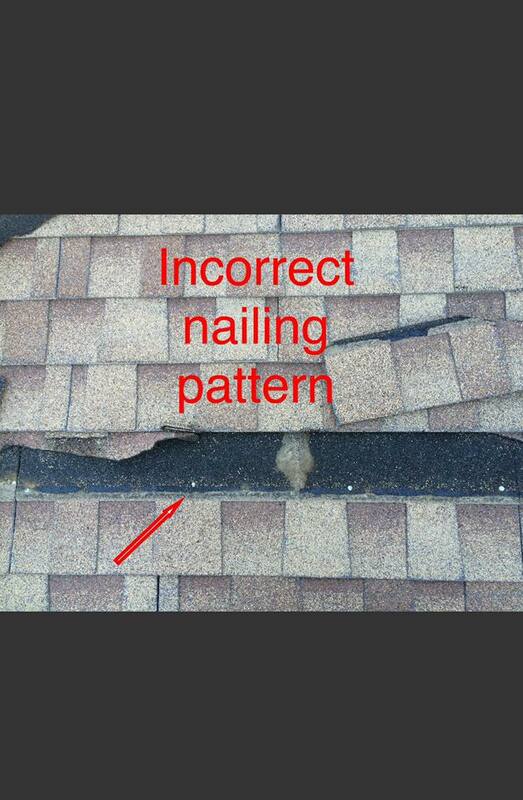 If the nails are not driven into the “nail strip” or there aren’t enough nails, the shingles lose their strength and will fail during a wind storm. Layout of the shingles. Shingle patterns vary with style but generally speaking, they are installed similar to bricks. If they aren’t installed to the manufactures specifications, they lose strength. There are many other factors that go into installing a quality roof but those are some of the most common mistakes that we’ve seen lately. Unfortunately, it’s difficult to tell if a roof has been installed properly until you have eighty mile per hour gusts and half your roof ends up in your neighbor’s yard. Building inspectors will sometimes lift a few shingles to make sure the nailing patterns are correct but they can’t lift every shingle and they can’t tell what temperature the roof was installed at. What I can guarantee however, is that by the time a homeowner suspects their roof replacement was improperly installed and they contact the shingle manufacturer, the shingle manufacturer will find out what went wrong. 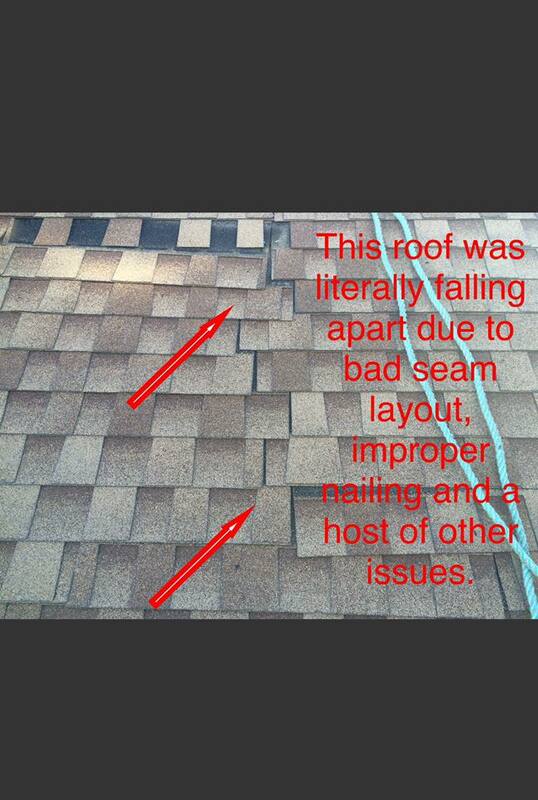 They will take the time to investigate exactly what day the roof was installed, check the weather and verify if it was nailed properly, and verify if the seams were lined up correctly among a host of other things. If a roof has not been installed properly, the manufacturer warranty is null and void leaving the homeowner to deal with a contractor who didn’t care enough to install the roof properly in the first place . Roofing materials are designed to work together, if one step is missed or a shortcut was taken the results can be disastrous. Most people assume that a roof is a roof but small differences in application can make a world of difference.